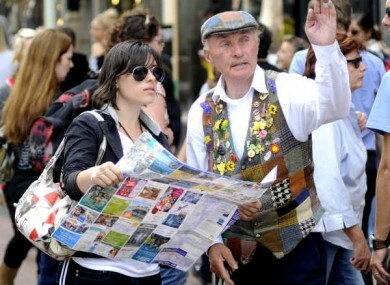 IRISH TOURISM HAS turned a corner as confidence in the sector has recovered during 2011, according to Fáilte Ireland. The group’s latest Tourism Barometer Study found that confidence amongst tourism enterprises has returned to 2007 levels. Four in ten respondents to the survey expect that their overall business levels in 2011 will be up on last year, while another three in ten expect to hold the same level. This is consistent with levels last seen in September 2007, said Fáilte Ireland, which questioned 1,000 tourism-related businesses for the research. Commenting on the findings, CEO Shaun Quinn said, “Quite clearly, the recovery in some of our overseas markets – particularly the US and Europe – has boosted business confidence in the tourism sector. The fact that more Irish people holidayed at home this year than in previous years has also given the industry some hope. The industry has also benefited from the positive reaction to the visits by Queen Elizabeth II and US President Barack Obama, according to the survey. Despite the good news, Fáilte Ireland conceded that businesses outside the usual “hotspots” are continuing to struggle. Email “2011 marks recovery for Irish tourism”. Feedback on “2011 marks recovery for Irish tourism”.